Visitors to Fauquier Hospital and Fauquier Health Rehabilitation & Nursing Center will find visiting restrictions in place as of today, due to the spread of the flu. No visitors under 18 (except for siblings in the Family Birthing Center). In the Birthing Center, visitors will be limited -- only two at a time per room. 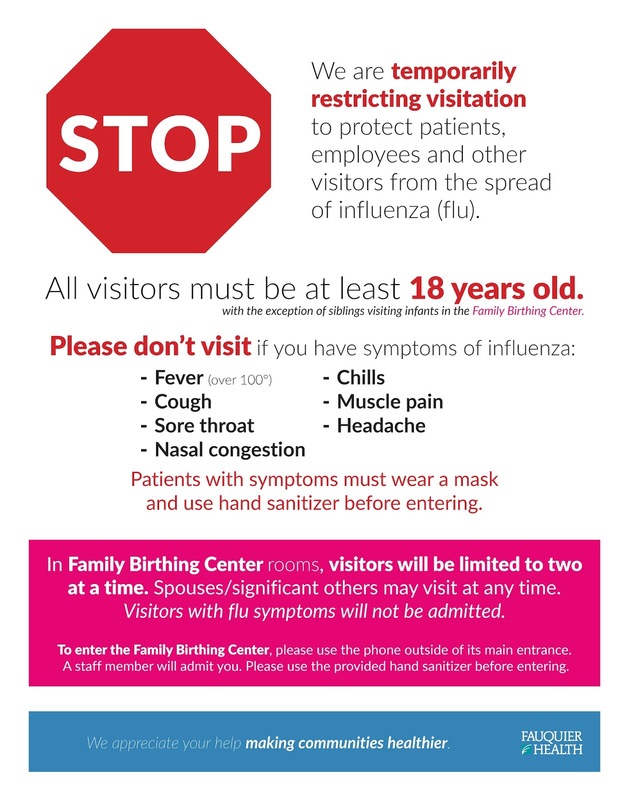 Throughout the hospital -- if you have any flu symptoms, please don't visit until you are feeling better. You'll see these signs posted. Thanks for helping to keep our patients and staff safe.